Pickguard fitted to guitar only for display. Small even surface ripples enhance polished stainless steel. A lustrous pattern with shimmer reflection of lighting. 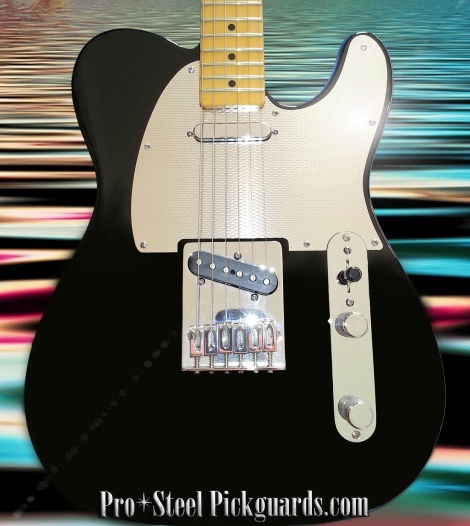 Squier Tele's: if a standard Fender Tele guard fits, then this guard will fit.